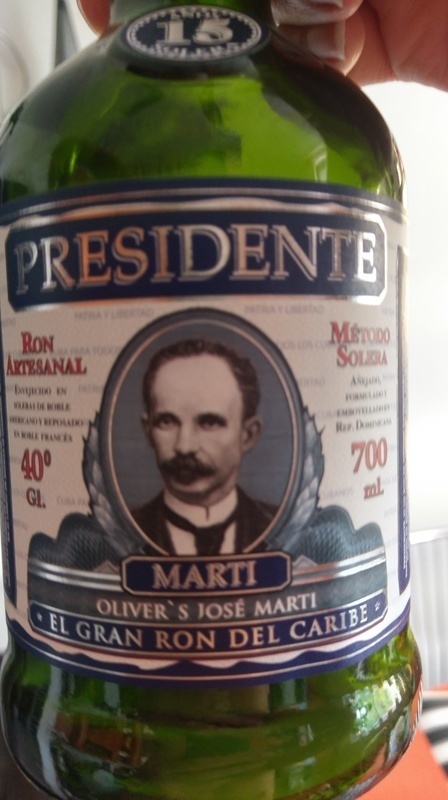 Have you found an online vendor selling Presidente 15-Year? Considering really nice taste, sweet, but too much. For the price it is an excellent choice. Sweet, smooth, nice, decent price. Direct competitor for better known Diplomatico. Only personally, one shade of flavour is a bit discomfort for my tongue. But don´t know what it is, noticed same in Botran Reserva. Fik langt om længe smagt denne Rom, og var meget begejstret. Sød, på den gode måde, blød og rund, og en dejlig eftersmag. celkově jsem byl překvapen. Nějak jsem se dlouho odhodlával k tomuto rumu. Nice aromas! oak, caramel, smoke, long mouth. It is perfect for those who dont like very sweet rooms. Skvělý rum s podmanivou chutí, která má čokoládový nádech. Velice dobrá volba za rozumné peníze. Sladký výborný rum s ovocnou chutí sušených švestek, rozinek a čokolády. Přicházím mu stále víc na chuť. Taste is somewhere between zacapa 23 and el dorado 12. It could have been smoother for 15y aged rum. El dorado is still a winner for me. Very nice and easy to drink, would buy this again any day! Nice Ron sweet taste, I would say better than diplomatico little bit. End of smell is smooth and sweet. This is a sweet solera rum with taste much like Diplomat reserva. Mild and sweet with a nice ability to change flavour depending on temperature. Very smooth and tasty, little sweety. Tang enjoyed. Sweet, smooth, nice, decent price. Considering really nice taste, sweet, but too much. For the price it is an excellent choice. Smooth tasty rum, with little burn. It tastes after coffee, mollase, oak and hint of vanilla. It is bit sugary, so if you have dry palate, this could be bit too sweet to your taste. It is delicious sipper with mouthful of taste and nice little afterburn. The colour is almost coffee dark, so I'm not really trusting it is just from the barrel and not by caramel. Velmi dobra rada od Oliver&Oliver. Vsechny rumy Presidente jsou hodne povedene. Not a complicated Rhum, good notions of 🍯 and oak. You need to let the alcohol evaporate a bit to really enjoy the taste. The title says it all. The woody flavors combines with the sweetness of this rum makes this a great choice.